When I speak around the world about values based leadership, the importance of building resilience and embracing diversity, I talk about the power of the story. Our stories bring the human face to all of those experiences we share as individuals. Stories teach us about our connection to each other, the land and our culture. They remind us that we are all to some extent the product of the sum of our experiences, and there is so much more that binds us than separates us. Highlighting our common humanity, it is the brave telling of stories, stories that shine a light on the beauty and ugliness in our world, that start important conversations, lead to action and result in lasting change. A powerful reminder of stories to impact change was highlighted recently. Several months ago the Athif family approached me and asked if I would assist them in obtaining justice for their beautiful 21 year old daughter and niece, Raudha. Originally from the Maldives, Raudha had been awarded a scholarship to study medicine in Bangladesh at an Islamic University. Raudha was a beautiful young woman in every way. Intelligent, kind, community minded and stunning, Raudha was studying hard to become a doctor, volunteering at community hospitals and clinics and modelling part time. After appearing on the cover of Asian Vogue, she attracted international attention. But, Raudha was a humble and very modest young woman, who wanted to be known more for her work in medicine and in the community than for her physical beauty or modelling career. For Raudha the modelling was a means to make enough money to pay for her tuition and support her family back in the Maldives. Tragically, in March this year Raudha was found dead in her dormitory room. It was alleged she had taken her own life by hanging herself from her room ceiling fan. Every member of her family refused to believe this. Convinced Raudha was murdered, they pointed to ample independent evidence suggesting that claims of suicide could not be supported. There were signs of a cover up, and after weeks of being stone walled and dismissed by authorities in Bangladesh, the family came to me in desperation, hoping I could use my previous international legal experience to help them re-open the investigation into Radha’s death and get answers and ultimately justice for this beautiful young woman who was taken way too early. After months of trying to secure some answers it became clear to me that additional international pressure was needed to progress this case, and at this point 60 Minutes Australia became involved. The family decided it was important for the world to hear Raudha’s story and to know that her case was not isolated. They wanted the world to know that other young modern Muslim men and women were being killed across Bangladesh and South Asia as a result of the rise of religious extremism across the region. Radha’s story “The Girl With The Blue Eyes” was aired on the Channel 9’s 60 Minutes program on Sunday, October 15. The overwhelming positive response received since this story aired confirms the importance of sharing our stories. I am optimistic that the pressure and questions raised by it will help the Athif family get justice for Raudha, so she can finally rest in peace. 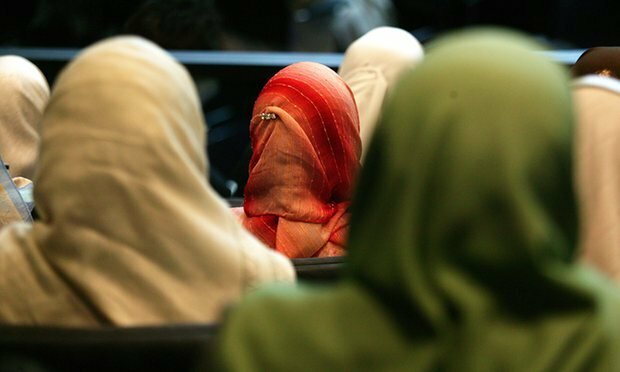 In another example of the power of story-telling an opinion piece I wrote for The Guardian addressed the impact of Islamophobia on Australian Women. My research yielded shocking and upsetting realities and statistics of how wide spread Islamophobic attacks are in our country and their debilitating effect on victims. While I initially intended to just share these upsetting statistics to show how wide scale racism and ignorance is having a toxic impact on social harmony in Australia, I realised that to truly understand the ripple effect of Islamophobia on innocent peace loving Australian women and their children, I needed to tell their stories. It was the personal stories that would start important conversations, raise awareness and bring the human face to the suffering experienced by those who have been demonised and marginalized.